Abstract : Object tracking is an ubiquitous problem in computer vision with many applications in human-machine and human-robot interaction, augmented reality, driving assistance, surveillance, etc. Although thoroughly investigated, tracking multiple persons remains a challenging and an open problem. 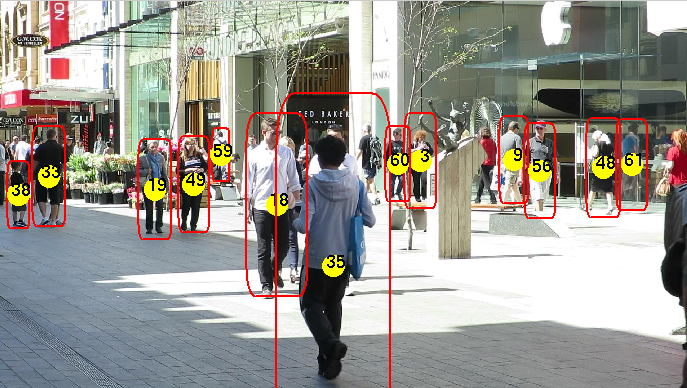 In this paper, an online variational Bayesian model for multiple-person tracking is proposed. This yields a variational expectation-maximization (VEM) algorithm. The computational efficiency of the proposed method is due to closed-form expressions for both the posterior distributions of the latent variables and for the estimation of the model parameters. A stochastic process that handles person birth and person death enables the tracker to handle a varying number of persons over long periods of time. The proposed method is benchmarked using the MOT 2016 dataset.